From the Low Country resort island of Hilton Head to the serene shores of Lake Marion, a log home in South Carolina provides a quiet retreat where you can relax and explore the state’s natural beauty. However, over time, the elements, from salt air to snow, can eat away at even the best-built cabin home. Left unchecked, this kind of damage can destroy your retreat, leaving it in ruins just as you’re ready to visit. In order to keep your South Carolina log cabin at its best, you need an expert with a long history of log home repair. At Performance Log Finishers, we’ve provided the best in cabin home repair, restoration, and maintenance to South Carolina’s residents for more than a decade. Whether you need a simple log repair or a new roof, our staff will help return your home to its original beauty. We also offer an array of maintenance plans, so you can rest assured that your home will remain just as beautiful whenever you return to it. If you don’t see your city listed here, call us. Chances are we serve your community. At Performance Log Finishers, we’re proud of our history of quality customer service and satisfaction. 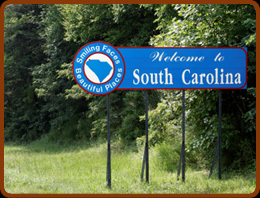 Call us at 1-800-781-2551 today and let us bring the beauty back to your South Carolina log home. “I hired Ian and his crew to repair, Chink, And stain my log home, His work was outstanding. He paid very close attention to the smallest detail and restored it to it’s original condition. He is very organized, each person has his own part of the job to perform and they do it like a precision machine.